This was a personal project that I completed with the goal of being able to make cold coffee during the summer. 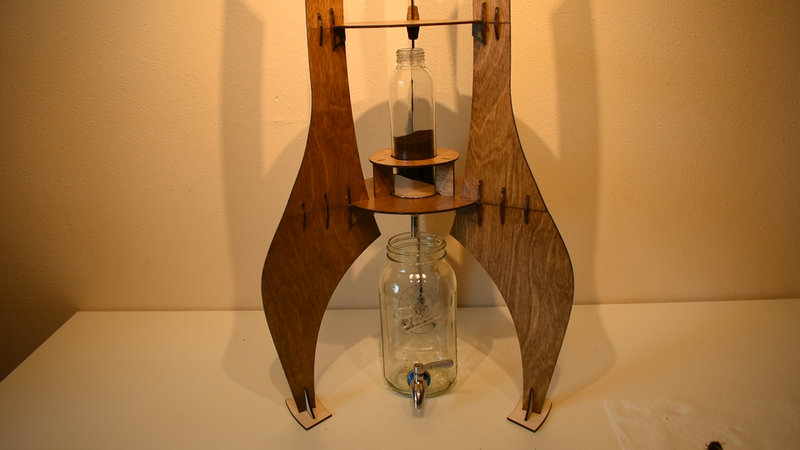 I had two main goals for this project; I wanted to build a functional (and economic) cold drip coffee tower, and I wanted it to have a "aesthetically pleasing" design. There were two main challenges when it came to the research and selection of the parts, both revolving around cost. The first involved the glass containers that held the water and coffee. Containers that had openings on the bottom of the container (like I needed) were very specialized, and thus generally quite expensive. 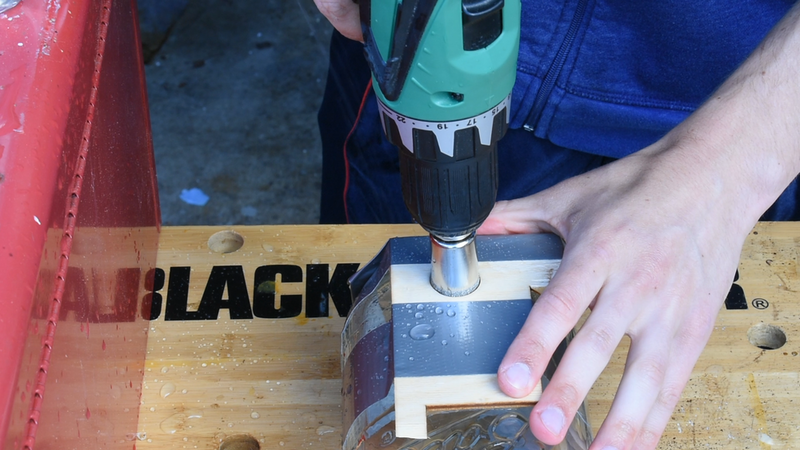 I solved this by buying a comparatively cheap diamond coated drill bit set (~$12), that would allow me to get basic mason jars and cut the glass holes into them where I needed them. The other difficult part in the research phase was determining how to control the water flow (the dripping). 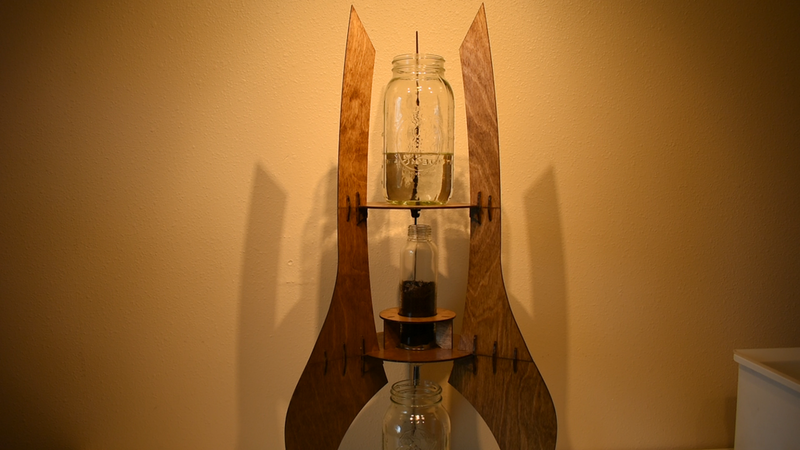 Higher end cold drip coffee towers use different valve designs to control the water flow, and again, because these are specialized they are expensive to purchase online. After a fair amount of research, I found pressure compensating drip emitters (meant for water conservation when watering plants). 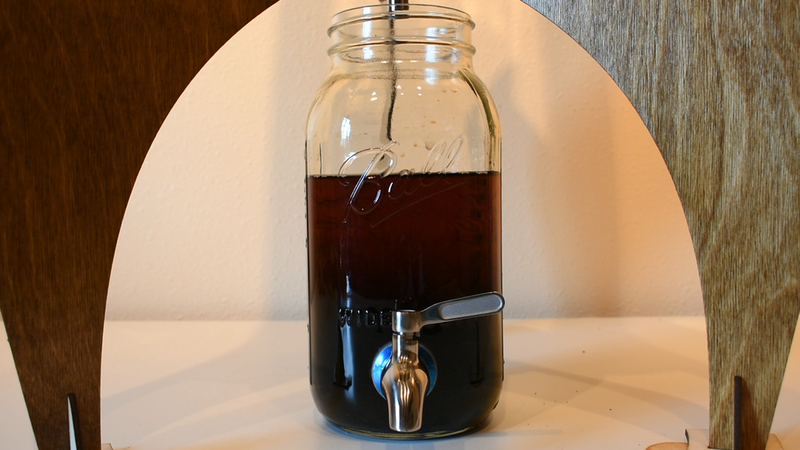 Researching Parts and Sketching: The first part in this process was determining the parts that I would need to be able to make cold drip coffee. 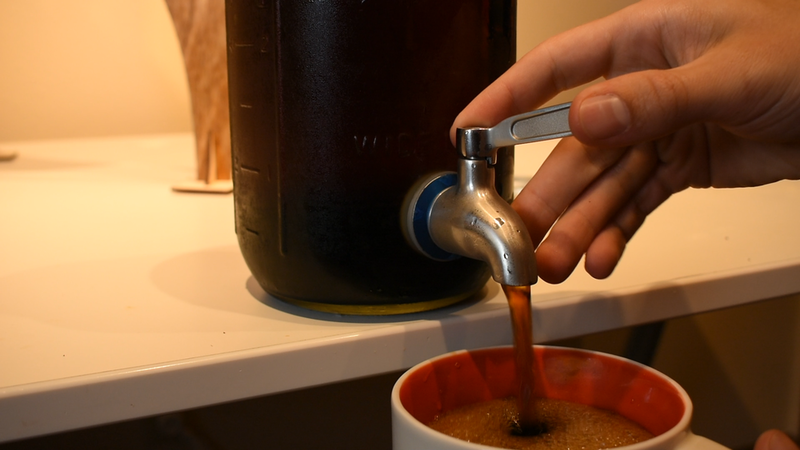 The basic steps for for cold drip coffee is you have a container up top that holds ice water, which is controlled to drip in a container below it holding the coffee grounds, and then finally directed into another container below that holds the coffee. I wanted this to be a "budget" build, so that the parts were as cheap as they could be. I also wanted this project to reproducible (so other people could make this), so I wanted to source my parts from an easy to access place. To do both of these, I chose to get my supplies from Amazon. Glass containers meant for cold drip coffee with holes in the bottom were fairly specialized, and thus pretty expensive. 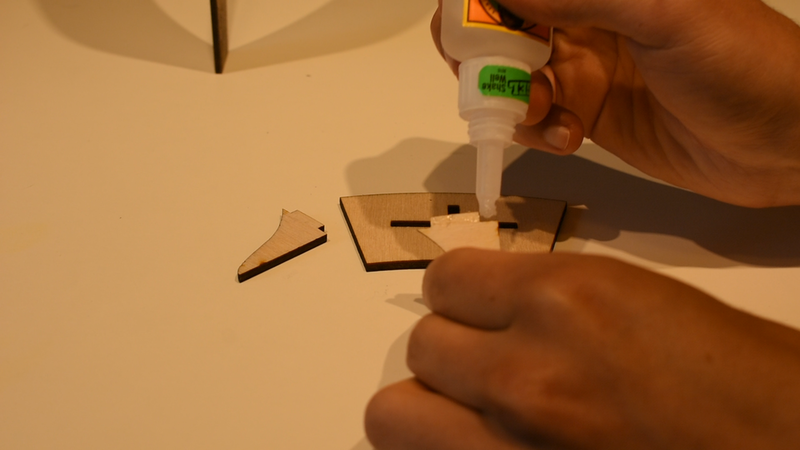 My solution for this was to get a comparatively cheap (~$12) diamond coated drill bit set, that would allow me to get basic glass containers, and then drill holes in the glass containers where I needed them. The other difficult part in the research phase was determining how to control the water flow (the dripping). Higher end cold drip coffee towers use different valve designs to control the water flow, and again, because these are specialized they are expensive to purchase online. After a fair amount of research, I found pressure compensating drip emitters (meant for water conservation when watering plants) that were much cheaper. 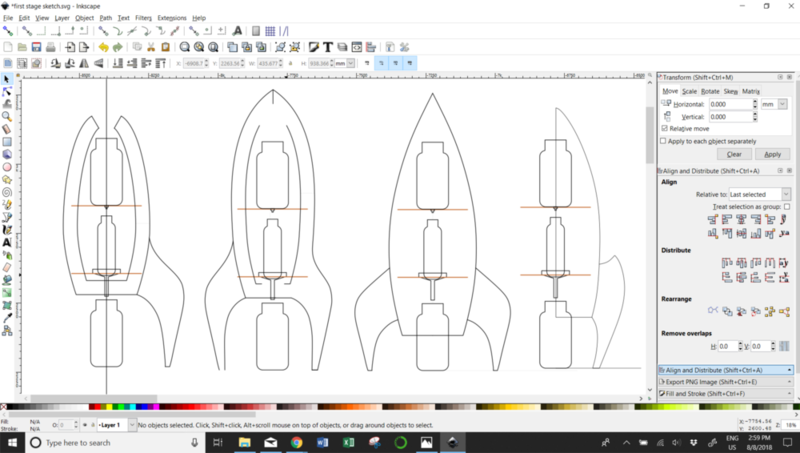 Early on in the concept phase, I decided that a spaceship shaped tower would work well with both the shape needed, and also the aesthetic design. 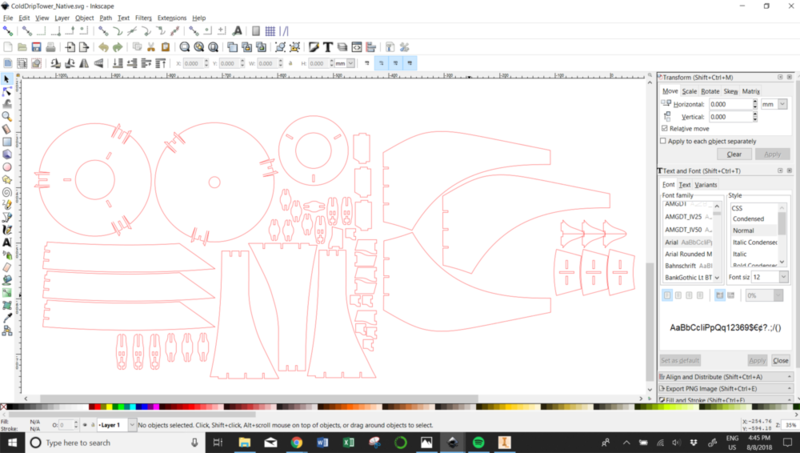 For my sketching I used Inkscape (a 2D vector graphics program) to iterate through a few shape designs at the right scale until I came up with a rough shape that I liked. Designing: With the parts determined that I needed to make the coffee, I next went on to designing the structure in Inventor. 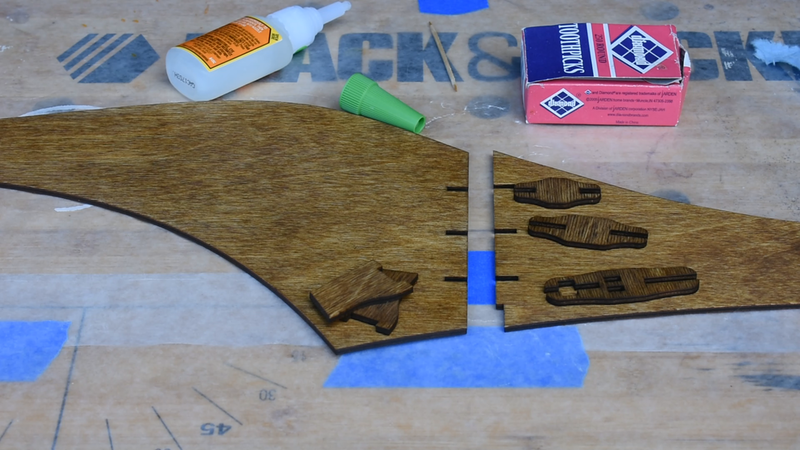 It was my intention to be able to laser cut the tower using 1/8 inch birch plywood, so all of the pieces in the tower assembly needed to be flat. 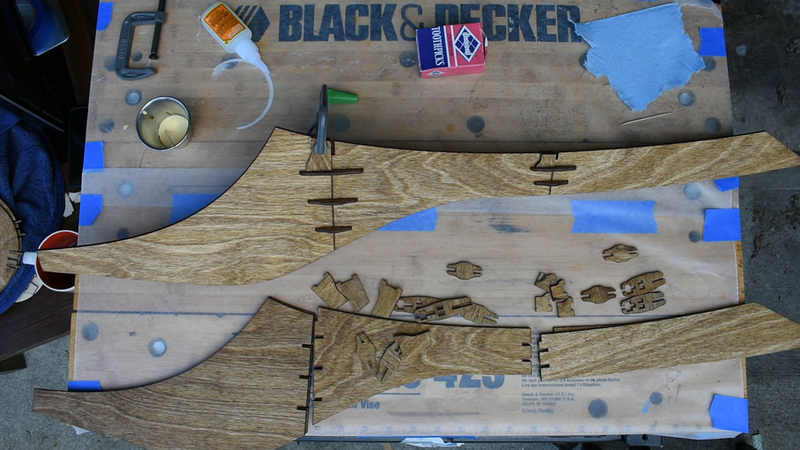 Furthermore, none of the pieces could be larger than about 12 inches long (to fit int he working space of the laser cutter). 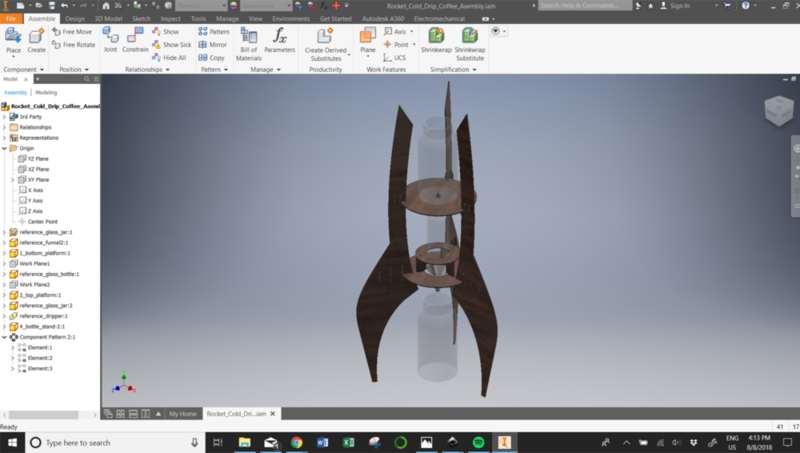 These limitations were enough to help me define what the structure needed to look like, so I built the parts necessary to hold the glass jars and join all of the pieces together, going through a couple iterations in CAD resizing them until I was happy with the look and design. Because the design was made out of 1/8 inch plywood, one of my concerns in the design was from the tower segments buckling under the weight of the water that they needed to hold up. 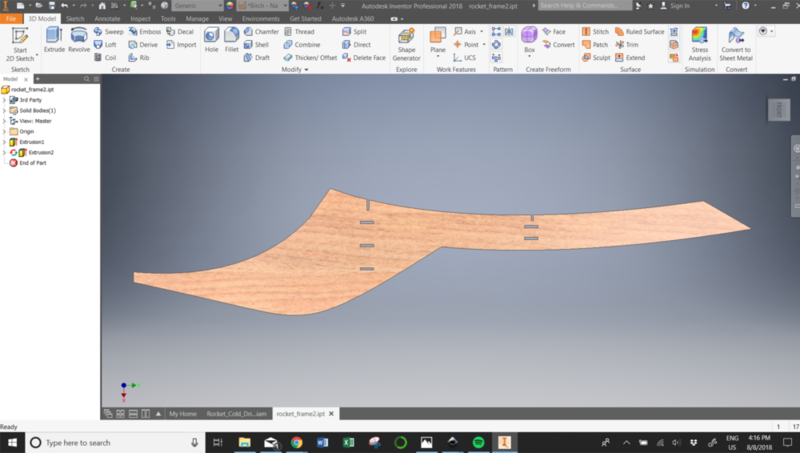 But the design was such that it was difficult to do typical hand calculations of the stress and buckling because of the odd shape and connections. 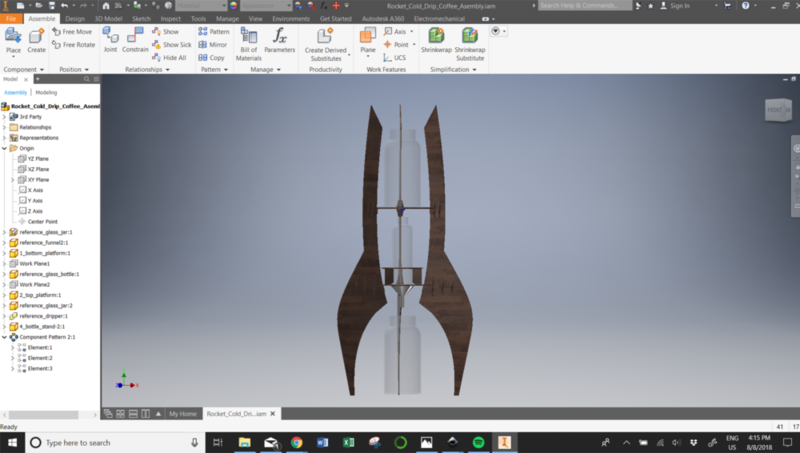 So I decided within the scope of this project the simplest solution was to build a prototype to see if it would work, and from from there iterate to a working model. 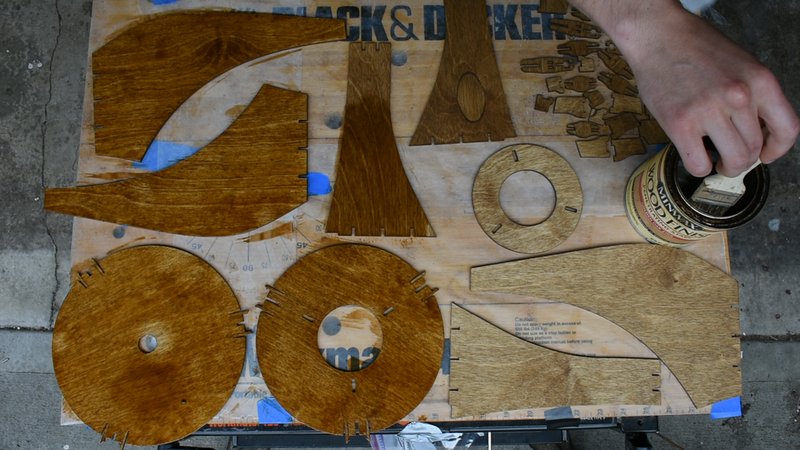 Laser Cutting and Assembly: With the design done, the next step was to actually laser cut and assemble the design. I aimed to make the assembly as simple as possible, partially for my own benefit, but also for anyone else who wanted to replicate the design. 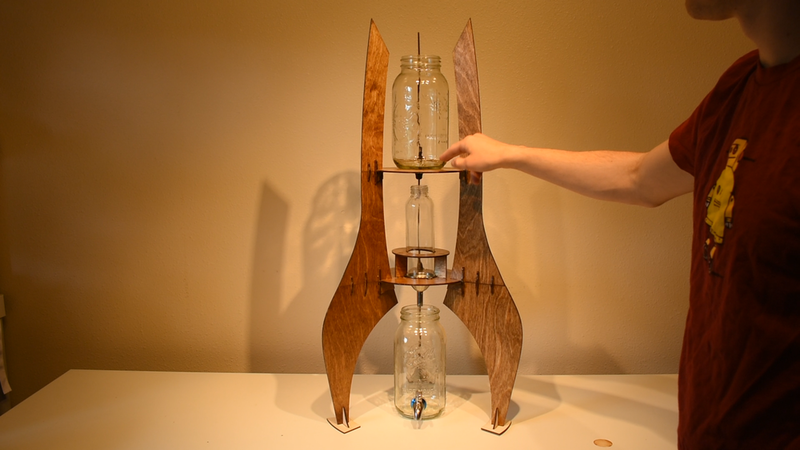 The process loosely involved laser cutting, sanding and then staining the pieces, gluing the tower segments together, cutting the holes into the glass jars, and then finally assembling the tower. Testing Integrity: Once assembled, I tested the integrity of the tower by putting it under a full test load. I found that it wobbled more than I preferred, and was possibly at risk to buckling due to sliding. 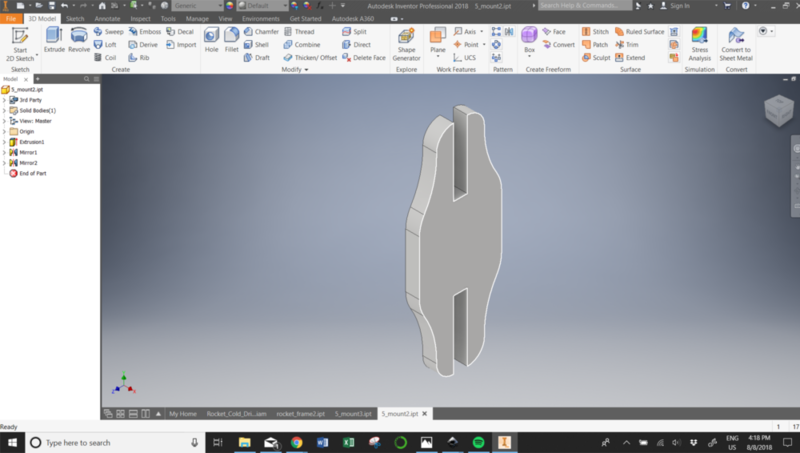 I went through my options, and decided that the simplest solution would be to add "feet" to the bottom that helped minimize the buckling issue by reducing the possibility of sliding, which worked with the current design already built so I would need to build another iteration. 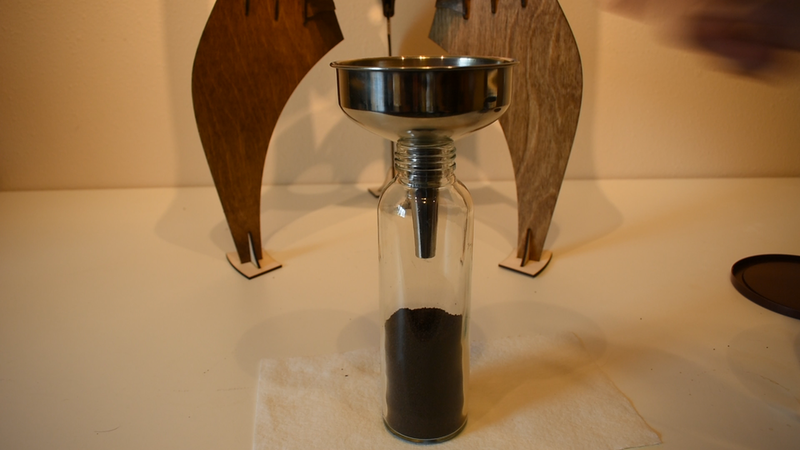 Testing the Coffee: The final step was actually using the coffee tower to make cold drip coffee, and see how the results went. The basic steps involved filling the top jar with ice water, the middle jar with coffee grounds, and waiting for the coffee to filter down into the bottom jar, a process that takes this tower about 12 hours And it worked great! At the end of this project, I was happy with both the aesthetic design of the tower, and the resulting coffee that it produced.